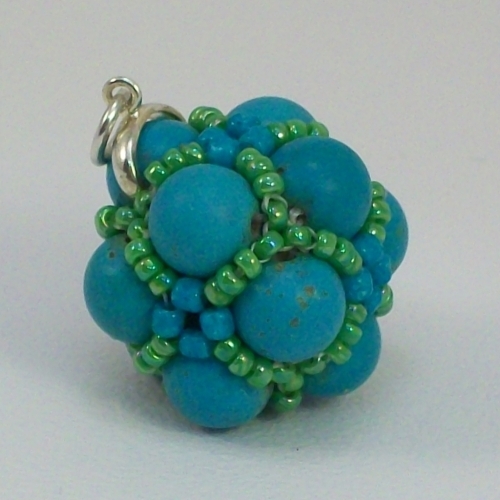 Genuine turquoise beads netted with green Toho seed beads and finished with a silver plated bail. 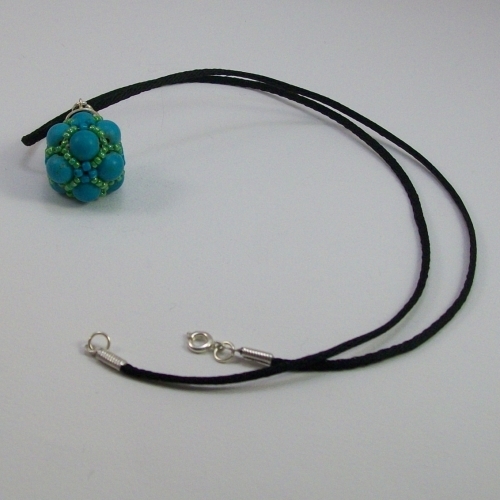 Comes with 18" black cord with bolt clasp. 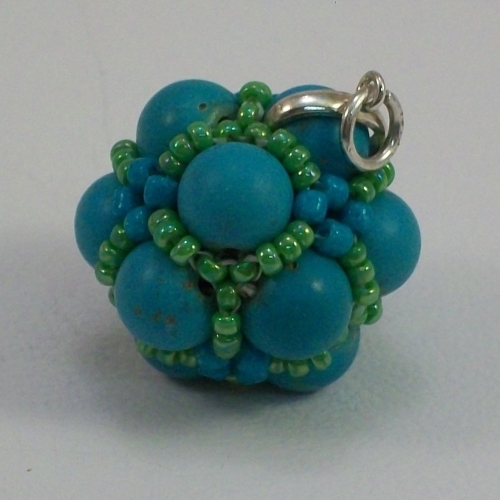 Pendant is 3.5cm drop x 2cm wide. Silver plated and nickel free findings.